If ever you take a train out of Chennai Central, you cannot miss this trio. Well, yes, at night time you will not be able to see the colours so clearly, but the chimneys are lit up, so they are not easy to miss. A generation or so ago, these chimneys weren't around, but you would know that you are crossing the Basin Bridge power station because of their predecessors - massive concrete structures, which looked pretty much like chimneys, as you can see from this picture. 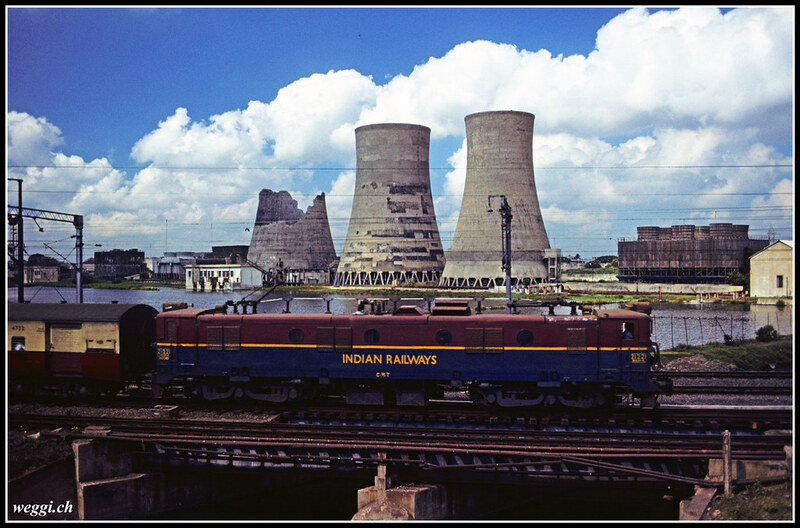 The Basin Bridge power station was modernised by GMR and was commissioned in 1998. Since then, it has been supplying about 200MW of electricity to the state electricity board. GMR claims that it does not use any water from the city, but treats the city's sewage to generate the water it needs for its operations. They boast a 75% recovery rate from the sewage - I am not sure if that is a high benchmark, or just regular operations. So, the next time you go out of the Chennai Central station, don't forget to say goodbye to these chimneys!